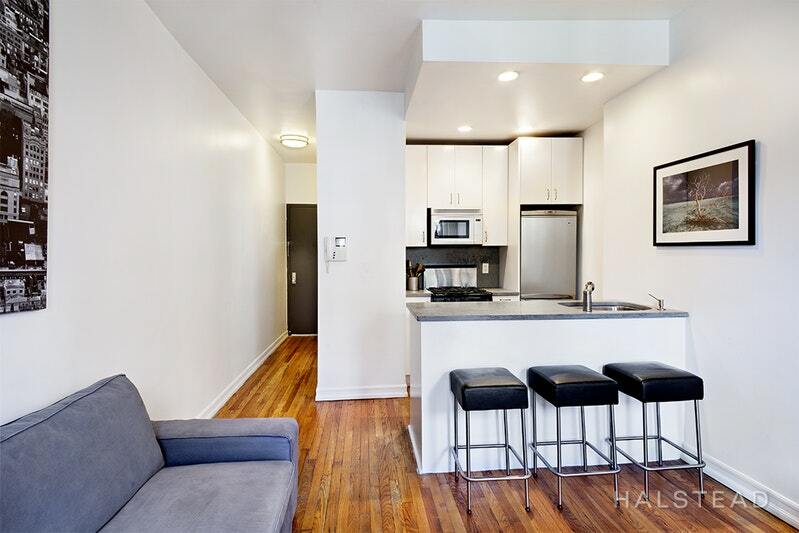 This is a quiet 1-bedroom home on the 5th Floor of a walk-up building with video intercom system and laundry in the basement. The open kitchen and living room face the back of the building, offering tree-top and garden views. The high ceilings and trees right outside your window will make you feel as if you are living in a treehouse. The bedroom shares no walls with neighbors. It fits a dresser and queen-sized bed. The bedroom window offers no view. 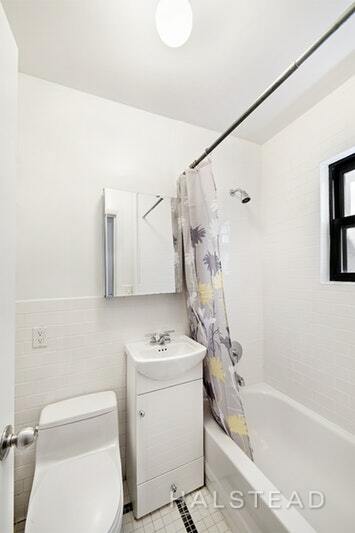 The en-suite windowed bathroom is clean and bright. The apartment has 3 closets. 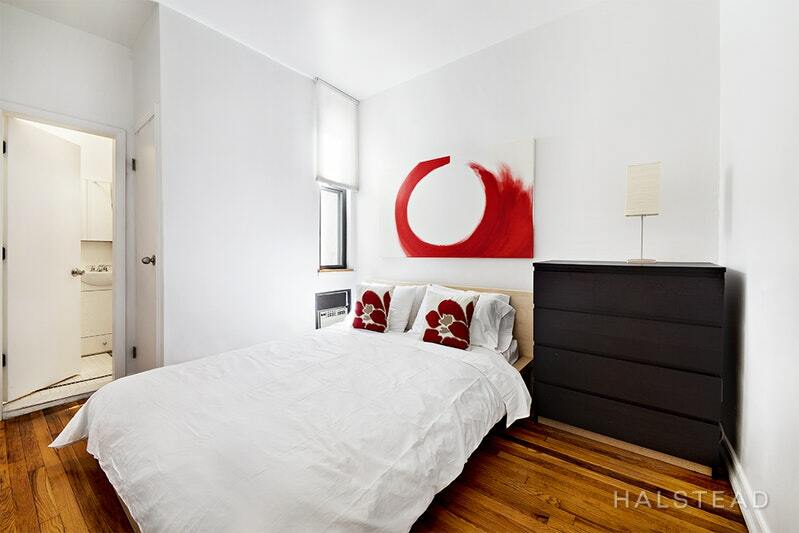 Location is ideal: in the heart of the Upper East Side, just 2 blocks from the Second Avenue Subway and equally proximate to the 4/5/6 and crosstown bus, putting the entire city within easy reach. Enjoy the convenience of living down the block from Whole Foods and surrounded by shopping, restaurants, gourmet markets and fitness studios. 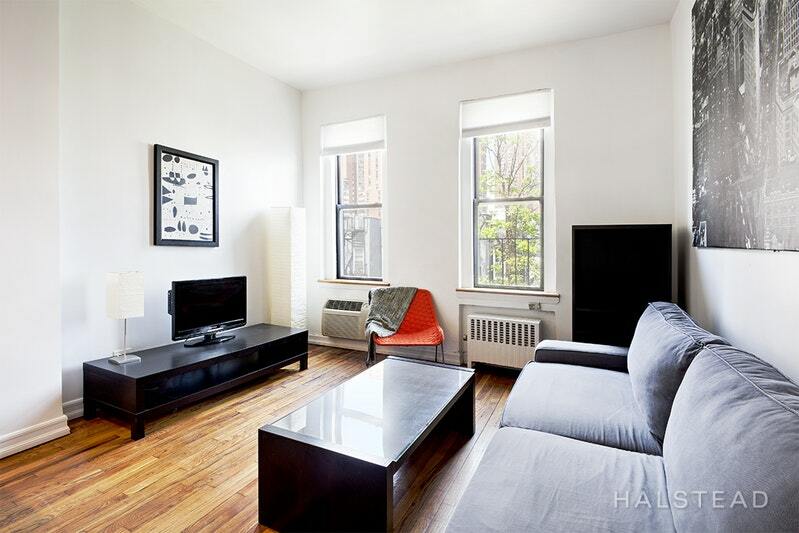 This home is offered as a fully-furnished rental, including kitchen accessories and linens. Electricity and internet are included in the rent. Easy approval process and no condo board application required. The minimum term for this lease is 3 months. Owner prefers a longer-term lease. Please e-mail all showing requests at least 24-hours in advance.